Sipadan, Malaysian Borneo. The scuba diving mecca that had oceanographer Cousteau in awe and later, the rest of world. Still with its underwater charms and surprises, Sipadan remains exclusive as only 120 divers per day is allowed on the island. 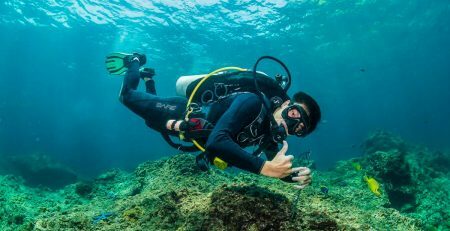 In 2006 the permit regulation was imposed after studies have shown that the reefs and marine life were not coping with the stress caused by too many divers on the island. Resorts on the island were asked to relocate leaving only a navy base to safeguard it. Today, the busy dive centers of Mabul and Semporna ferry its guests to Sipadan daily. Doing 3 to 4 boat dives with surface interval in between on the island. To secure a Sipadan permit, you will need to stay the minimum required nights. 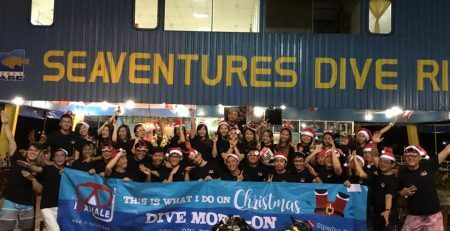 Your Sipadan dive permit is guaranteed when you book through us, Seaventures Dive Rig. Stay in Standard Twin-Sharing room for 3 nights to get 1 day with 3 dives on Sipadan. If you are able to stretch your stay to 5 nights*, the Rig guarantee you two (2) days of Sipadan permit. 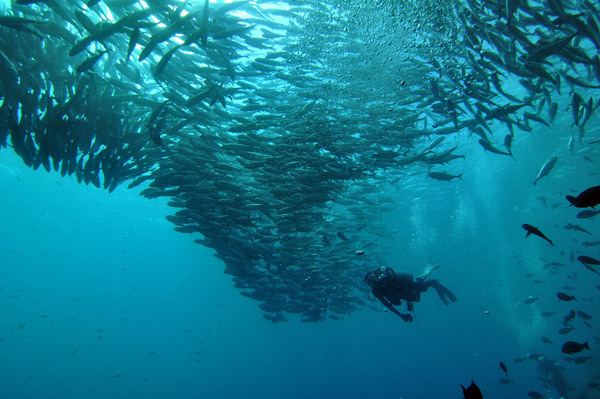 What is it about Sipadan that is so special? Sitting within the coral triangle, Sipadan is home to turtles, sharks, barracudas and more than 2000 species of reef fish. Imagine the wonders of seeing (well, almost) all of it on your dive. Some days you will also see manta rays, whale sharks, dolphins and hammerheads. Almost everything a diver dream of. Being home to six out of the world’s seven marine turtle, there is a dark side to Sipadan. 20m from the surface and another 200m from the entrance is the infamous Turtle Tomb. 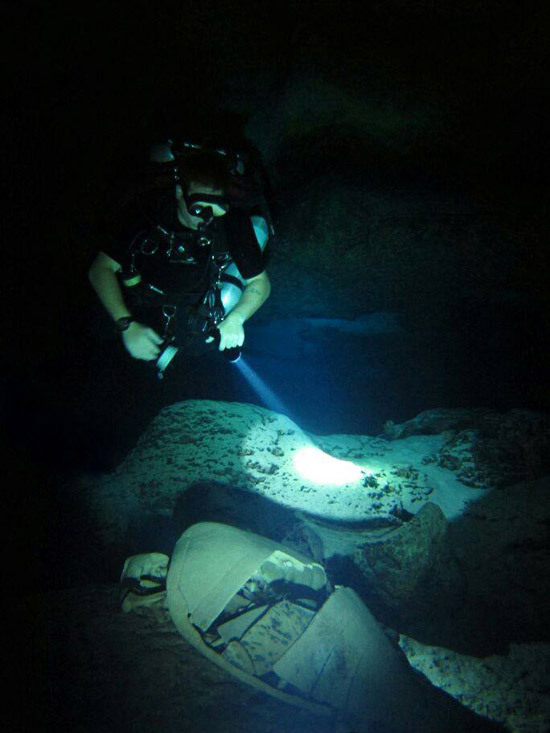 While some has said it’s where turtles go for their final resting place, the cavern is actually where over hundreds of turtle unable to find their way out, drowned. Skulls and bones scattered all over the floor of the cavern. Divers intending to explore need to be trained and fully equipped for cavern diving. 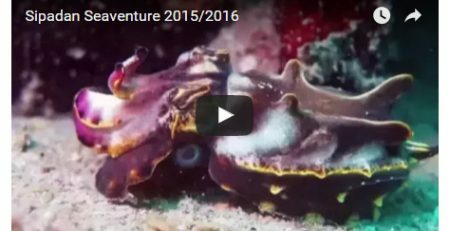 A recommended course to prepare your for cavern exploration is the PADI Cavern Diver specialty. There are 13 dive sites on Sipadan. As the saying goes, the early bird catches the worm. Boats with divers will make its way to the island as early as 6am. A half an hour boat ride later, you will find the 120 lucky divers on the day at the registration jetty. Then its back to the boat for gear up and the much anticipated dive(s). Green Bumphead parrotfish greets you as you make your down. Easily recognized by their oversized choppers and the distinct hump on their head, bumping into them early morning is a common sight. Look around and you will also find sharks, turtles swimming about ignoring the presence of divers. The water temperature is around 26°-29° all year round with good visibility. The month of December towards March is known to be the wet season in the state however Mabul and Sipadan seldom experience much rain. When is the best time to book Sipadan? All year long! Sabah is known to be a world class holiday destination, giving you the option to not only dive but explore the nature and culture of the friendly state. The Kota Kinabalu International Airport is the main gateway to Sabah for the outside world. Major airlines flies into Sabah almost daily making the state, a popular choice for especially during school or summer break holiday. From wildlife cruise along the river of Kinabatangan to see Pygmy elephants and the orang utans, to jungle trekking into the canyon, or day trip scuba diving from the capital city of Sabah, Kota Kinabalu. *with stay in Standard Twin-Share room. Subject also to room availability during the dates.